My husband discovered Teaching Textbooks at a homeschool convention many years ago. Frustrated with teaching math I saw it as a way out. Before Teaching Textbooks I had used Bob Jones, Abeka, Horizons, Miquon, Rod and Staff, Life of Fred (see Life of Fred review here), and Chalkdust, Saxon. 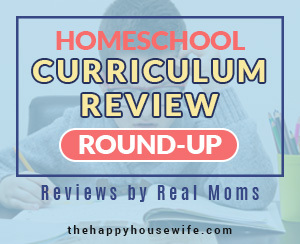 Some might call me a homeschool math expert since I’ve used most of the curriculum published for homeschoolers, but in reality I was desperate for something that worked for my family. Except for Saxon, which sent my kids into hysterics every single day, the other programs were all good and I liked them. But I had a problem. I was homeschooling four or five kids at the time and I needed to find a subject they could do on their own, Teaching Textbooks might be the answer to my math problem. As my children progressed through the higher levels of math they would go through the book on their own and I would check their work. Inevitably they would come to a point (usually around lesson 75) where they didn’t understand the concept being taught and I would then spend two to three hours looking through all the previous lessons to help explain the current lesson they couldn’t understand. This was frustrating for my kids and for me! When I heard about Teaching Textbooks it seemed too good to be true. The lessons were on CD’s and for some levels everything was automated including the grade book. I was finished teaching math FOREVER!!! Or so I thought. Over the past four years I’ve used Math 3, Math 5, Math 7, Algebra 1, Algebra 2, Geometry, and Pre-Calculus. If you’re doing the math you’ll know that I’ve spent a lot of money on this curriculum. Minimal Teacher Involvement: I think this is a positive because you can follow along with your child, but it is not necessary. In the four years I used this program I probably spent less than four hours helping my kids with math. Since I was looking for a hands-off approach to math this definitely worked. Teaching Textbook Lessons are Easy to Understand: The lessons are easy to understand, especially at the younger levels. The teacher speaks slowly and the graphics are interesting but not overwhelming. Favorite for Kids: My kids and many others lovedTeaching Textbooks. My younger boys asked to do math every day because they enjoy it. After years of crying through math lessons was nice to have a program my kids actually like. Computerized Grading: The entire program is online. This includes automatic grading as soon as the child answers the question. The program tracks your child’s progress, lets you know which problems they missed, and even keeps a grade book. This makes record keeping for math very simple. NonConsumable: There are no workbooks, so more than one child can use the curriculum if they are in the same household. Excellent Customer Support: Teaching Textbooks support staff is quick to respond and solve the problem. They Sell Single Copies of the Cd’s: If you have a careless child who gets into a fight with his brother and in the process cracks a CD in half, you only need to replace one CD, not the whole set. I wouldn’t know this from experience, of course. Update: You can now use Teaching Textbooks entirely online. No more CDs! Expensive: Teaching Textbooks Math 3 is $119 while Saxon Math 3 is around $60. The price goes up and in high school are close to $200, with Pre-Calculus selling for $185.00. Due to Teaching Textbooks popularity, used sets are hard to find and prices are still high. (To their credit, the prices have stayed the same for over six years and they have introduced a subscription model). Update: Teaching Textbooks now has several buying options. You can still purchase Teaching Textbooks 2.0 which includes workbooks and CDs. However you can also purchase an online subscription which is about $6 a month per student. Fewer Review Problems: If you are familiar with Saxon (or Abeka to some extent) you know those programs incorporate a mind numbing amount of review problems. 🙂 Teaching Textbooks offers significantly less in the way of review. This is problematic for a child who needs concepts reviewed thoroughly and drilled consistently. All my kids who used Teaching Textbooks in the younger grades still struggle with their math facts. My children who used Saxon (which we learned to love in later years) have a solid math foundation. Minimal Teacher Involvement: This is an independent study math program. If you like to closely oversee your child’s work, this is not for you. Low Test Scores: This is my biggest problem with Teaching Textbooks. My daughter starting with Algebra 1, after using several different curriculum from K-8. She scored high on all her Teaching Textbooks tests and had an A average for math over the past four years. When she took the ACT and the College Placement Test and scored poorly on the math sections of both tests. Now, part of the low score was because she did not prep for the test. This is my fault, she only had two weeks notice. But she aced the language sections of both tests, receiving a perfect on one of them. This tells me she knew how to take a standardized test. The disconnect comes at this point. Why would a child who made all A’s on the Teaching Textbook’s tests score below average on standardized tests? I researched this a bit on the internet and it seems to be happening to more than a few kids who have used the high school level curriculum. Part of the problem seems to be Teaching Textbook’s method of teaching. They aren’t teaching to the test and that’s good thing. But, if you have a child who needs above average test scores because they want to go to college, this is a bad thing. After spending another 5 years teaching homeschool math (since writing this review) I’ve come to a another conclusion about why I believe Teaching Textbooks failed my daughter in regards to test prep and why I ultimately switched to Saxon math and used it for the last several years. One of the benefits of homeschooling is that kids can work at their own pace. Teaching Textbooks is no different. It allows kids to go back and correct their answers and there isn’t much focus on math drills. Standardized tests are timed, therefore children should solve problems quickly to score well on the tests. In order to complete all the problems during the allotted time, math facts must be memorized. For our family, Saxon had a better mix of review, timed tests, and general problems than any other curriculum we used. I do not think Teaching Textbooks is a bad math curriculum. Because of the testing issue, I did not use it after middle school. Up to Pre-Algebra I think the lessons are adequate, but beginning in Algebra 1, this curriculum was not the best choice for our family. If you have your heart set on Teaching Textbooks, I would recommend test prep before taking any standardized test. For me, I would rather spend the money on a curriculum that builds that into the lessons. When your child takes seven credit hours, works, and participates in extra-curricular activities, there isn’t much time left for frequent test prep. So, while I loved Teaching Textbooks, I was disappointed with the test scores. I’d love to hear your feedback on Teaching Textbooks at the high school grade levels. Has your child scored well on the ACT/SAT/CPT or have their test scores contradicted the scores received on the Teaching Textbooks tests? Editor’s note: Math is not my daughter’s strongest subject. However, before Teaching Textbooks she always scored above the 85 percentile in math on the standardized tests. UPDATE: As you know, not every curriculum is perfect for every family. While I explained above why I’m not 100% sold on this curriculum, my managing editor and friend, Linda, loves Teaching Textbooks and wrote a review here explaining her position. Interesting review. We swapped TT for MUS. I am so glad to hear your review. I love teaching textbooks, though you are so right, in high school the cost has become a difficult factor. While I credit this program with reigniting confidence in ability with my older daughter, she prefers Life of Fred so we’ll go back to them for Algebra II. I hope that it fares well for test time. I agree in not teaching to the test, it is hard when our deep seated beliefs about that are now being put up against hoping for scholarships to be able to attend college should my kids desire it. My younger daughter like TT before, but in 7th grade has become bored to tears listening to the lectures. It has served me well, but ready to try something new for her as well. i would love to know how you use Life of Fred. I have the Fractions book, but my son would look at the answers and not actually do the problem. I would be very interested in how you use this curriculum. I’m really wanting to try it, but don’t know anyone else that uses it. Stacey- we started using Fred this year as a supplement to Singapore (5th grade book.) We had my son go through Fractions with Singapore 5A and Decimals & Percents with 5B. I like the way that Fred presents the problems in a different format than a traditional textbook; it helps me to see which types of problems he really “gets” vs. which problems he has learned in a specific format. My son thinks the Fred books are hilarious and will gladly do a couple chapters at a time. We just bought the two pre-algebra books at our home school convention this weekend and can’t wait to use them. My husband actually does the math around here, and he previewed the upper level texts as well; he was especially pleased with the Fred calculus book. We’re leaning toward using Fred as our main text beginning with Algebra, and maybe finding a traditionally formatted book to use as a supplement- this might be a test prep book so we don’t run into the same test score issues as Happy. As for the answers being printed right below the problems… I gave my son a piece of colored paper to keep in the book and use to cover up the answers while he works the problems…. in the upper books, the answers are all in the back of the book so they can’t just look at them. Hope this helps! Wow, you helped me a lot with your response. Thank you for taking the time to explain the testing process. i’m curious, Christie, if you husband has an opinion on life of fred being used with something like Saxon Dive or TT. is it necessary or just confusing to have 2 different programs? right now we are using Teaching textbooks and the beginning series of life of fred and it works, but i didn’t know if it would be overwhelming for later, fractions/algebra time. Thanks! How did this all turn out for you? It’s 3 years later now and I’m wondering how your child has done on standardized tests by using Life of Fred. We only recently started homeschooling and used TT at the recommendation of a friend. But there is very little problem solving and application in the program and that concerns me. Thus I’m looking at Life of Fred and Singapore as options. Any thoughts would be appreciated. Came to the same conclusions as you — and hated Pre-Algebra without the self-grading function. He did everything on paper just like in the old days. So, do you have a substitute for Algebra and beyond????? Inquiring minds wanna know. I’ll let you know in two weeks after I grill all the math curriculum representatives at the Florida Homeschool Convention. Saxon with Dive CD’s have been awesome! My daughter (16) is using Teaching Textbooks for Algebra because after having a HARD time in math, she is finding success and confidence. I won’t know how her testing will go until June. She does NOT like math but has begun to feel smarter as a result of using TT. So for that alone – I love it. My son, on the other hand, is wired for math. I decided to try something different because of the cost and reading that TT was behind the others. I decided to use Saxon 7/6 AND the DIVE cds and we LOVE it. I WISH I would have used this with my daughter from Pre-Algebra on up. It’s less expensive, and the gentleman on the Dive CD’s does an excellent job of teaching the lessons. I plan on using it all the way through his high school years. He’s 7th grade right now. We are using TT4 with our daughter. She has been diagnosed with dyslexia, dyscalculia, and dysgraphia. She absolutely LOVES using TT and I no longer have to fight to get her do her math every day. I will definitely continue purchasing the TT program for her!! I was so encouraged by your post. My son also has dysgraphia and dyscalculia. He may even have dyslexia. The doctor thinks that may be an eye tracking issue though. My son has a fantastic memory but can hardly write and cannot remember even his addition facts. I’ve tried everything I can think of. We are considering switching to TT. I was so happy to see that your daughter LOVES TT. What a blessing and a relief to find something that will work for her. I wish you both the best. My sons *love* it and my eldest did very well on the SAT. (Other son will take it next school year.) This reviewer’s daughter took the ACT…her problem is that she did not prepare her daughter and she admitted that. You see, the math on the ACT is like a math tricks test. It is different than the SAT and prep for it is necessary. That is where she went wrong. That is not TT’s fault. My daughter used TT and scored highly on every standardized test she took, including the ones for college, well above average. I’ve found that TT encourages children to learn and not just regurgitate material. I will say that as far as the, what i refer to as ‘analytical thinking’ part of standardized tests, no math program really prepares you for it, and most every student I know uses the prep books for these tests extensively for that. I feel fortunate that TT gave the skills needed and didn’t teach my kids “if you see this, do this”, nor did they brush over material because it isn’t heavily tested. Practicing for these exams definitely helps with the scores, and in my experience, weaknesses in subjects definitely show more on standardized tests in high school years. I know many students that have gotten all A’s in math and don’t do well on SATs in many curriculums. Math isn’t like the language sections. There is so much material to learn, understand, review, remember, etc. that is on those tests (geometry, trigonometry, algebra, calculus, prob and stat. ) and unless you are a math guru, practice, review, and more practice is key. On another note, I had multiple college admissions counselors (one Ivy League) tell me they recruit homeschool students for their critical thinking skills and work ethic. Agree w Jodi on this one. On the SAT, there aren’t necessarily ‘tricks,’ either, but sometimes on the more difficult questions (so those are the ones toward the end; the SAT math is very strictly in order of difficulty) there will be tough questions and they’ll be aware of the common errors test-takers will make and one of the answer choices will be the answer you’d get if you made that error. This isn’t terribly common–2-3 questions per test, and it’s always the hardest questions–and so we actually recommend that students not go into the test with the attitude that they’re going to be tricked; it tends to make them second-guess when they shouldn’t. And, anyway, if you’re doing the question correctly, the answer key isn’t going to sway you, which is sort of encouraging–it’ll only hurt you if you’re solving the problem incorrectly to begin with. In terms of teaching to the test, I actually think the verbal sections of both tests are sort of problematic and have definite educational biases, but the math on both is actually pretty solid and is typically a fair representation of high school level math. There’s a good mix of questions that test the basics, and then more difficult questions that ask you to apply the basics in a more complex problem. If your daughters are generally good at math, and especially if they felt that the concepts on the math test were ones they were familiar with, I’d be willing to bet that they didn’t score as high on the tests not because of faulty education but because of accuracy issues. Thanks so much for all that detailed information! I did have my daughter take a few practice tests before the actual test, but it wasn’t enough. 🙂 She did say she felt rushed during the math section. I think if the had a stronger math foundation and in depth math reviews for the specific test she was taking her score would have been higher. She is planning on retaking the test in the fall. I agree with the reply that you can’t fault TT because your child scored low on the math portion of any test. My child made straight B’s in TT Alg I, II and Geometry. He seemed to struggle with the time it took him to complete some math lessons. But when he took the PSAT and SAT, his math scores were high. Why that difference? I don’t know but I DO know my son is an excellent ‘test-taker’. His scores are always great on standardized tests in most subjects. Did TT help him score higher? Don’t know but they certainly didn’t hurt him, either! I would say that the statement that “If you want to be involved in your child’s math lessons this is probably not the best curriculum” is ridiculous!! No curriculum dictates my involvement with my child’s education in any area! I choose to ALLOW my child to read it alone, listen to the cd or TAKE the time to read/teach it to them! 🙂 I certainly think this isn’t the math curriculum for the author of this blog but for our family, TT was a lifesaver and a benefit to our son’s test scores! i considered switching from mus to tt because mus has the same testing issue. it does not teach to the test at all, which i don’t mind, however, your kids get to a point where they need to score well on the test. i ultimately decided to stay with mus because my kids like it. now that i’ve read your review i’m glad i did. I am looking for a math curriculum we use Abeka and I love is just very expensive. Was wondering what MUS is??? MUS is Math-U-See. It is proprietary, so you should look it up on the net. I used it for my oldest for Pre-Alg, Alg I, and half of Geometry. It did not do enough of the new concept for him to learn it well. It would teach a new concept and then you MIGHT have 4 or 5 problems of the new kind before moving to review. Sometimes fewer. We switched to MUS and son did great and was much,much happier. It teaches 3 lessons on the new concept and then 2-3 with half new and half review. Worked much, much better for us. Son just finished his first semester of college with a 4 point 0. He’s a smart kid who can program computers, etc. but TT brought him to his knees. Perhaps it was just learning style. Certainly didn’t work for us. Now my other 4 from kindergarten to high school all use MUS-have for about four years now. Interesting. I used Saxon for years and found it frustrating, but I stuck with it. About 9 years ago we made the investment in VideoText for algebra and up. Then 2 years ago I couldn’t keep up with 6 in school and trying to graduate my oldest son, so I bought TT for my younger grades. Now I have had a couple of kids make the move from TT to VideoText with no problems. VideoText is more challenging and my oldest son that used it did well on his college tests. I can’t testify about TT’s algebra and beyond, but I can say that VideoText has been great and we plan to continue using it with the rest of the kids. With Teaching Textbooks I found very minimal repetition, and it spelled disaster for my 5th grader. He’d do GREAT on the lessons, GREAT on the tests, but 2 months later could not do ANY of the work he’d learned earlier in the year. It seem almost the opposite of Saxon. Saxon reviews till mastery is achieved, in my opinion, where Teaching Textbooks does not. Of course, that repetition is often what makes kids doing Saxon turn into sobbing messes every day! Unfortunately, Saxon does not do a very good job of making the math “real” or helping the child understand how it is applicable to real life nearly as well as Teaching Textbooks. For us, that meant that our Saxon students did really well on standardized math assessments but had trouble “getting” how those math skills worked in real life, at least once they got into the higher level math. I could see how someone using Teaching Textbooks might have the opposite problem. In general, unless the child is going to need the higher level math skills for their future career, I think what you end up using really depends on how much a good SAT/ACT math score is critical to college choice, etc. I admit there have been times I wish I would have kept with Saxon for my older kids. But for one of them, who has multiple learning disabilities, I think staying with Saxon would have put him over the edge, lol. We’ll be doing a significant amount of test prep before taking the ACT/SAT in a few years. I see your post is from 2011, it being a few years later, what are your thoughts now? I have a soon to be 5th grader. Math is not is favorite subject. He’s not awful at it, though. We currently use MUS. I am concerned about preparing him for the higher math and then the ACT/SAT. What have you seen in your kids? What would you go back and change / do differently? Great review, I was thinking of switching over to TT3 for my son next year. I think since we have a long way to go until high school that this would be the right decision for us. Thank you for the review! I love MUS. My kids are young and it fits well with them. I also used it when I tutored older elementary children. I think MUS does an excellent job of teaching fractions. I am not as familiar with MUS middle and high school program but I think their elementary program is rock solid. I must agree with you, Jami. I LOVE the way MUS teaches fractions. My kids have used Math U see for 4 years now, but I just switched from Math U See Albebra to TT Algebra halfway through this last year. This seemed to be a Godsend to me, but after reading this review, I have myself wondering if I made the right choice after all. My son is currently using MUS for Algebra and is really wanting to switch to TT. I see it’s been a couple years since you made the transition. Can you tell me how it worked out for you? Good review – I found the same thing happened early on with my student when I put him in TT (CAT5 score went way down on the Math Section) I have heard this too much for it to be coincidental. Thanks for your review of Teaching Textbooks, especially the high school levels. My situation is a little different. As a homeschool parent, I’ve used Saxon and VideoText Interactive. I actually love Saxon for the amount of review which, I believe, cements the concepts into the student’s mind, though the student may end up spending an inordinate amount of time on math work each day. VideoText was thorough but hugely expensive, and I missed the constant review that Saxon had offered. Now, I am teaching Algebra I and Algebra II in a two-day per week (3 hours/week) co-op and have been looking for a thorough curriculum which has the benefit of video instruction and immediate feedback at a reasonable price. 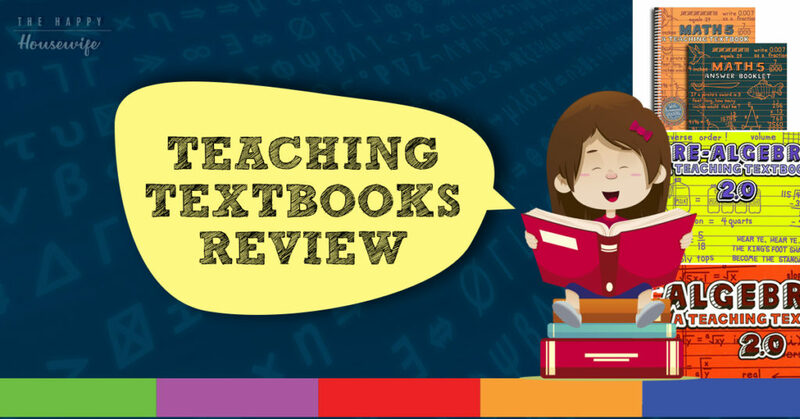 As mentioned in the review, Teaching Textbooks has a rather hefty price tag. I just came back from CHAP (PA homeschool convention) where I found a full Algebra I curriculum on one CD from A+ TutorSoft, Inc. Another math-savvy friend and I scanned through the course and found it to be complete as an Algebra I course, with the teacher explaining each new concept and clear graphics to go along with the instruction. The immediate feedback is provided by “Interactive FlashCards”, and worksheets are provided with each lesson. An answer key and exam solutions guide is also provided. I’m not sure about how much review is included; I would have to assign review problems on my own if they’re not provided in the curriculum itself. The convention price was about $42, including tax, — very reasonable! (The regular price may be more, but is still within reach.) I bought it as a good possibility for the curriculum I’ll use in my Algebra I class, and look forward to exploring it further. I’ll be writing a full review on our 7Sisters website http://7sistershomeschool.com/ within the next few weeks. Anyway, as A+ TutorSoft, Inc. (www.aplustutorsoft.com) is a new company, I thought I’d mention this for you folks to look into in case you hadn’t heard of them. I wish you well as you seek out the curriculum that will best meet your students’ needs. Thank you so much! This is so hopeful (actually meant helpful but hopeful is a good word too!) We’ve used RightStart for a few years, dd, 5th grade was behind in math and I was getting uncomfortable that it didn’t “look” like math. Switched over to MCP Math, while I like working on one topic at a time there isn’t nearly enough practice work for her and she is making careless mistakes, not reducing fractions, subtracting incorrectly, not completely understanding fractions. The “idea” of TT appeals to me but I think Math is a subject that she actually needs me to sit down with her and work through the problems and continually review issues where she has made mistakes. She admits that she is rushing through to just get done. Someone mentioned TT is good until high school, since TT has so few lessons (116 I think for 6th grade) I thought of using the curriculum for 6th grade but then also throwing in the Key To Series (fractions, decimals, algebra etc.) for her to practice on when a concept doesn’t seem to be sticking. Then as another person suggested moving to VideoText Algebra or the A+ program. I just hate to feel that I am letting her down is some fashion, yet there are 3 others I’ll be teaching next year and a 2 1/2 year old. Not as many as Happy but I feel the struggle. It’s interesting to me to see the differences in my children, I realize my boys will need the repetition/drill with phonics & language but my daughter just gets it, it is math where she needs the repetition/drill for it to sink in. Thank goodness homeschooling is a marathon, not a sprint. Thanks so much for the time you put into this post, it hits home right now. I must say that my sons test scores went down a bit as well after our first year of TT in 7th grade. I thought maybe it was from not writing his Math out as much on paper? But we have stuck with it and this year he is finishing up Algebra. We needed a tutor for this because he is such a mental math guy. Our tutor at Mathnasium said that he has been impressed with this curriculum even on through the Calculus program. He said it is something that if you start you should finish out with and it comes full circle…not good to use it a year then skip to something else. I also have a fellow homeschool mom that has a child that scored a 36 on ACT and used TT the whole way. He did however take summer prep course. Regardless I think this is a great curriculum and sometimes when I think back to the tears involved trying to get my very visual learner to do Saxon everyday I can’ help but cringe. Obviously we want them to test well for college…but I also want them to have a love of Math that I did not have. They will one day be out of college and I don’t want them to have the same horrid feeling I have when I am faced with math in my life. It was always hard for me and I never really understood “why” I was doing what I did. Therefore I spent my life with an attitude of “I hate Math”. For us unless a better more visual program comes along we will have to stick with this curriculum. I agree Talysa. I was nervous starting TT this year in third grade as it a much “lighter” math . My son can handle traditional 3rd grade math prgrams but fights me the whole way. He loves science and I don’t want to kill math for him so early in the game. I realized that if I am not fighting with him, I could finish 3rd grade in early spring and start on the 4th grade which would bring him to the same place at the end of the year as the more accelerated curriculums without the drama and low self esteem attached. It also gives me wiggle room for years when he does struggle. Talysa – I so appreciate reading your response. After discussing grade level issues (TT) with local homeschool Mom’s, I decided to research what everyone has to say about it (our family has been using it for 3 years). I’ve been taking notes on all of the suggestions on this site and homeschoolmath.net, and after reading your input I feel settled in my decision to stick with TT. I was suspecting (from reading a number of comments) that sticking with it all the way through may be the key. I am also planning on trying to skip ahead when the review at the beginning is just dragging on. I’m going to try to get them moving through it a bit faster, so that they don’t lag behind. It’s unfortunate that the years are not really categorized at the right grade level, but as you say, unless something else were to come out that is as fantastic as this curriculum, I’m just going to stick with it and modify things based on all of the helpful critiques I’ve been reading. It’s funny…some reviewers say there’s lots of review and others say there’s not enough. We made the decision to stick with TT all the way through. I struggled all winter trying to figure out what to do. I have a 7th grader doing Pre-Algebra. When we started, he was in 5th grade and we placed just there. Another one right and I think we would have been in 6th. I started here and we just did the tests until we hit material he needed to review. That first year he was able to do both 5th and 6th grade and is now a year ahead. My plan is to have him take time in his schedule to prep for the ACT as a part of his schooling. Working ahead allows us to do that. My middle started TT3 last year and is on TT4 this year. He too is working a year head in it. That will allow us to do the same with him. I also accept that I am not trying to have a kid CLEP out of math. I don’t have an issue if my children take an entry level College Algebra course in college. I think having some intro courses as a freshman is a good thing. I don’t worry about how far we are anymore or how much we need to get in the way of college credits before he graduates high school. My dd has completed TT3 and is in the middle of 4. She refuses the cds and does all of the work in the workbook. She very much prefers this over Saxon. I do feel that it needs a bit more repetition. I am thinking of supplementing with Math Mammoth for more review on things like multiplication and division. I also think that it’s a little behind in introducing skills. My son is using 2nd grade Horizons and in some things, he’s actually ahead of her TT 4 book! We chose TT because we needed to boost our dd’s confidence in math. I think we have succeeded, but I do wonder if we’ll be able to stick with it for the long run. I had never heard of TT till last summer and then I was surprised that it seemed like everyone I talked to was switching to TT. I never looked into it for two reasons 1. being after years of switching from one math program to another for my now college age daughter I went to MUS and even though my daughter claimed to hate it (she hated all the other programs too LOL), she scored really well when she went to test at the local college; actually scored into the only math class she needed to take for her nursing degree…middle of her senior year in high school. 2. The cost. I understand that MUS has to be much more hands for the parent but I have more time then I do money. LOL. I have two kids that are 10 years apart in age. With my daughter I switched to a different math curriculum every year because she struggled so much with math. With my son I started him on MUS (my daughter was already doing MUS) and I have stuck with it. I am very happy I finally stayed with one program….and I can actually afford it. I would have loved to try TT but it is just to far out of my buget for one subject. I will also add that because my daughter planned to go thru the nursing program at the local college she never took the SAT or any other test like that. I personally think every kid should do a year at a junior college to understand what going to college is like (and the fact it is way cheaper to take classes there and smaller campus) then transfer. If you transfer they don’t care where you went to high school or what your SAT score was….you are a transferring student. Yes, I agree with junior college. My sons enroll at age 16 as dual enrolled high school students. It is free in Florida except for books. The oldest graduated from high school with 26 college credits. (30 is a full year). Now he is taking a year off to mature and live his dream in Colorado. Dual enrollment is a wonderful option to earn high and college credit at the same time. I am now apprehensive – I just purchased TT for my 3rd, 6th, & 7th graders for this coming year! But, after reading the comments – it appears that the main complaint is that it doesn’t reveiw enough. This lets me know that I need to either supplement this or make up my own reviews every few weeks to make sure they are retaining what they’ve learned. At least I know this going in so maybe there won’t be any dissapointing suprises on their testing. Thank you for the in depth review! Sorry if this is a multiple post b/c my computer keeps kicking me out. We used MUS but my daughter didn’t like the instructor…she is all about making math fun and MUS is not fun…no games or anything to break up the monotony of worksheets and videos. That totally turned her off. We switched to TT and she likes the fact that it gives her independence…she is a first born. We are also using Aleks online virtual tutor/curriculum that does the needed review work…it makes assessments and gives her a pie chart to show her the areas she needs review…based on the standards…I do not have to grade anything or try to assess where she stands in each content area. Kids using Aleks have proven higher standardized test scores. I am willing to pay $20 a month (for all my kids, $500 a year) until they graduate to use Aleks (some of my kids are in public schools, I am only homeschooling one right now. For me, I am willing to spend more on math and writing since I believe those two are essential for college…we use Excellence in Writing (which I also use with my public school kids…we take time every week to incorporate these two foundations into their normal week of school work). If you go online and look at reviews for Aleks you can google Aleks free trial and get two months free per kid to decide if it is helpful to your family. I like that I don’t have to take ANY time for math…it is all done for me. Great printouts (pie charts) for portfolios, too. Thanks for your review! I had done the placement tests with my daughter and found her placing much higher than her grade level so I steered away from TT for fear that it was too easy. (She’s really not that advanced in math. 😉 I’m eager to hear what you choose to do for this subject in the future. I’ve been wondering about MUS. While the testing is often low in the elementary grades due to the cycle of how things are taught, I’ve heard that they come back up when the kids are older and everything balances out. I really feel like I need to settle down with something this coming year though so we don’t get gaps. Praying God gives you wisdom on what will best prepare your blessings to serve His kingdom! I appreciate this review. My daughter is now on TT6 after finishing TT5. I have read different opinions about TT for high school. I love what you said about teaching them to think outside the box and then because of pressures about college admission/scholarships, we have to modify our methods. Sad. Teaching Textbooks may be expensive but it has a good reselling value. If you don’t download the CD too many times you can sell the CD and answer book for close to what you bought it for. I am very happy to see this post. I am in the process of deciding what pre-calculus curriculum to use. My kids weren’t bad at math, but never liked it until I switched over to TT. I have used it with my oldest from pre-algebra thru Algebra 2 and bought each new level as available so that we have used TT 4 with my youngest all the way up with the older ones. In case it’s relevant to someone, my oldest took the PSAT this year with no prep at all and scored in the 91st percentile compared to other 10th graders. I have 5 children and the youngest is 2 and has various health issues. I found that some of my kids needed lots of explanation for their math day after day with tears, but when I switched to TT, they were able to do it on their own and even liked it! I didn’t have the time to get with them to do math every day and especially wasn’t able to grade the papers. The computer grading is a huge plus! Also, they can see right away when they get one wrong and not keep making the same mistake through the whole assignment. I love Teaching Textbooks. Now for my dilemma — I read reviews on TT pre-calc and they were very negative, even from people who loved it up thru Alg2. 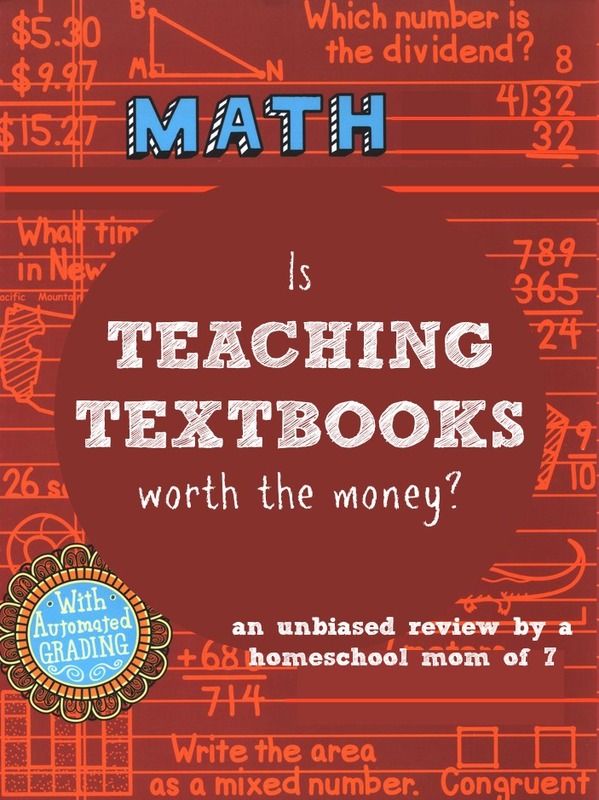 The reviews also said that TT didn’t cover as much as other curriculums so my daughter won’t necessarily be able to do pre-calc with a more rigorous curriculum. Has anyone out there liked TT pre-calc? I’m thinking of switching to MUS pre-calc, but didn’t find any specific reviews for that level. Any suggestions are welcome. Ruth, I am also looking for a pre-calculus curriculum for my daughter. I am also unsure about using TT pre-calc because of some of the reviews. I haven’t found many reviews for pre-calc curriculums. If I find anything informative, I will let you know. “Teaching to the test” has been a hot topic for some time now. I understand this to mean that in general instead of being taught how to think and problem solve children are taught to regurgitate facts that will be forgotten as soon as the answer is marked on the test sheet. As a student I loved the fact that math was not subject to my teacher’s opinion. I viewed it as very black and white and as long as I understood when and how to use the formulas the test was straightforward. So my question (finally!) is how would you do it differently than TT to ensure higher standardized test scores? My oldest daughter (now 20 and a Jr. in college) was able to clep out of Algebra 1 after going all the way through TT in highschool. I think it is more about how your child is wired than the program. We used TT until I realized that my 3rd grade (average math student) daughter could do my son’s 6th grade TT problems. We went back to Saxon. (And no-we don’t do all the problems on the page! 😉 ) TT is just not advanced enough in the higher grades in my opinion. Great review and the comments are all very relevant and helpful, too. I came here via Jimmie’s Collage and am now eager to check out the rest of your blog. Our Farrah into TT came when we needed fillers. My older dd finished Singapor 6 in the middle of 5th grade and we were able to get TT7 used. At first she liked the computer format, but by the 3rd disc she went back to doing it straight out of the book. It was almost all review for her, with the exception of negative numbers, but we used it to solidify and sum up all that elementary math before algebra. And I just wasn’t ready to start her in Alg in 5th grade. She is now, since the middle of 6th grade, doing Life of Fred PRE-Alg and singapore’s Discovering Math ALGEBRA simultaneously and independently. TT7 was a nice break from the traditional and as a review for her. Standard seventh grade math is generally just that anyway-a review of elem math before pre-algebra. My 4th grader is doing TT5 now following Singapore 4. She is good at math but lacks confidence and our decision this time was an effort to take Mom out of the equation (pun intended) and provide her with a year of review to solidify and practice all those facts and concepts thru 4th grade. She is a cryer and math was a daily struggle (and then some!). TT4 has been good for her with its clear explanations and because it’s all review for her so far, reinforcing of the concepts. However, the novelty is wearing off and having just begun the 2nd CD, she is asking for Singapore again. I’ll have her finish TT5 and continue with Singapore 5. So for us, TT has been excellent as a review and reinforcement in between other strong programs. I wouldn’t recommend doing only one year of TT on its own tho. My understanding is that its true worth (as mentioned in these comments already) is in using it all the way thru, whether 3-7 or Pre-Alg to Pre-Calc/Calc. We have found it fun, the insrtuction clear, and very good at applying math to the real world. The levels definitely lag behind same-numbered levels of other math programs out there and entering answers into the computer seems to get old after awhile. The cost is prohibitive, too. I plan to resell both levels (anyone need TT7??) since I don’t have anyone who needs them immediately and I hesitate to hang onto computer curriculum for too long. Sorry for the long-winded comment. Off to read more of your blog! Finally! Someone else who uses Singapore!! 🙂 My 4th grade daughter’s math experience last year sounds like a carbon copy of the one described above! All of these reviews have made me hesitant to try TT – “too easy!” – but I really want her to have a FUN math experience for a change! I like the idea of using it for a ‘sabbatical’ of sorts; a ‘math vacation’, if you will – and then charging back into Singapore! Glad I came across this post. I was thinking of switching to TT Geometry from the BJU Distance Learning math which my daughter hated. But, I wondered about these issues mentioned here. I have also used MUS, Abeka, and Saxon with some of our other children. Our daughter who used all Saxon math has done the best by far in the higher math levels and ACT test scores for that matter. She even went on to tutor math in college while on academic scholarship. I do plan to switch from using the Saxon Teacher cds to the DIVE cds in the upcoming year with our middle grade students because of a conversation with a rep during our recent homeschool convention. I just stumbled on this and wanted to share my two cents. I took the ACT 3 times in the past two years. The first time my reading score was 36, english was 31 or 33, science was 26 or 27. Those scores were pretty good but my math was only 23. My composite score was 30. I retook the test with only one goal- to raise my math score. My math score never changed. The second and third times I took the ACT my composite dropped a couple of points because other areas went down a little. I believe that happened because I didn’t study as well and I was more worried about my math score. Some info about me…I just graduated from a public high school, I was never homeschooled. I’m starting college this fall at a local college where I have a full scholarship for being accepted into the honors program. I took college algebra at the school I’ll be going to this fall and I got an A. I took a semester of pre-calc at my high school and (barely) got an A.I don’t test well in math. I never have. I was looking through my cumulative file that I picked up when I got my diploma and I saw a pattern with my scores. I test well in everything but math. Your daughter might have the same problem I’ve had. I have heard this same thing from a lady who owns a homeschool store that although teaching textbooks is fun, it’s not enough and kids are not testing well. Thank you for this review. We used ABeka math and also tried Saxon math with my daughter. Saxon was boring to her and ABeka was a battle. She tested ok in math but some areas were below average. We are trying TT5 this year. I am praying it works for us. I tried TT for 7, Algebra 1 and 2. I agree that it doesn’t teach enough to make it stick. I found my sons did not retain what they learned a copy of chapters ago. I switched to FLVS (Florida Virtual School). More work/assignments but that is needed for college success. Adding my 2 cents for anyone searching around in the future. We started using TT for pre-Alg, then continued through Alg.1, Geom, and Alg11. My daughter took the ACT for the first time when she was only part way through Geom as she was looking at at early college admit program. She scored about 80th percentile on the ACT (at 99th percentiles for English/Reading which is her strong point). She took it a year later (after more TT completed) and her scores raised a bit. I think she would have scored higher if she would have finished the test (!) but we had never prepped for the timed nature of it. She is currently enrolled in a well regarded private college, having started a year early (what would have been her Senior year in HS). Half way through the semester and she has not gotten less than 100 percent on any of the college math. And this with just having finished through Alg. 11 with TT. I highly recommend the program. Math was never her strong point and it has been a good match for us. I also have my younger kids down to 3rd grade in various stages of it and all are doing excellently with it, with percentiles on standardized tests around 90 percent. None are super math whizzes, but get As with this program and do retain it. Blessings. Oh, the decisions are going to kill me. We used TT7 for our son a few years ago which was a huge blessing because it essential got him to be able to “do” math. Seriously it did. Then we did part of videotext Algebra module A and he was given the opportunity to take Alg 1 at a small twice a week school using BJU Algebra 1. At the end of the year we called it pre-algebra and he then did Saxon Alg 1 last year. Now he is in Saxon Alg 2 and doing well, but he takes about 2-3 hours to complete each lesson. He’s content to continue with that because he understands the book. On to DD13, 8th grade. We did Saxon 8/7 last year (after a switch from Singapore for all previous grades, except for one year of TT6 which was the wrong level for her and ALL review) but we didn’t finish the 8/7 book due to an extended illness. She was definitely not ready for Alg 1 with saxon this year so we are using saxon alg 1/2. She really doesn’t mind it, but desperately wants to be in Alg 1 like her friends. Wondering if she were to use TT alg1 this year, Alg 2 next year for 9th, then Geometry for 10th, wouldn’t it equal out the same as if she just continues with Saxon? Any thoughts? I know she’ll go to college, but I doubt she’ll be a scholarship student. She has many, many wonderful qualities and gifts that are non academic. Different kids, different gifts. Hi – I understand the frustration of low ACT/SAT scores and would like to suggest a few things. First off, the SAT MATH portion is content-based with reasoning skills and test strategies needed – not just a good math foundation – As with the ACT, the student needs to have advanced through Trig (Alg 1,2,Coordinate and Plane Geometry as well) to score well – and the ACT is more content based and less so much reasoning ability. My company has an ACT and SAT prep class coming up to hit the May 5th, June 2nd, and June 9th test dates 2012!. The classes are taught LIVE, over the computer so the student takes classes at home – we are very reasonably priced – about $150 for 22 hours of prep! 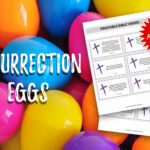 check us out at http://www.myclassconnection.com, or give me a call at 770-363-8345. Teaching Textbook totally overcomplicates algebra. What can be done in 3 simple steps, they do in 8 confusing steps, using double degatives to complicate students and adults. If I can’t figure out a problem, I certainly wouldn’t expect my child to. They even complicated facts that my child already knew going into algebra. I brought in a Tutor; a Math major and he just looked at the screan of my computer dumb-founded at how confusing they were making it on the students. He kinda had to laugh. When my tutor explained what Teaching Textbooks had been trying to teach I WAS AMAZED at how easy it was SUPPOSED TO BE. Unbelievable how easy they could have made it but didn’t. I am disappointed and wish I could get a refund. This post confirms my experience with TT. I started out my son with Miquon, after that did one year of Horizons, after that did 3 years of Teaching Textbooks. This year we enrolled him into a 7th grade pre-algebra class (at a university model classical school) and he REALLY struggled because he didn’t have a good foundation in elementary math. He understood the algebraic concepts, but it took him forever to work the problems because TT had given him very little practice with elementary math skills. Because my involvement with TT was so hands-off (which I thought was a good thing!) I didn’t realize how far behind he’d gotten in those years of TT. His grades were good so I assumed all was well. Thankfully we got a wake up call before he reached high school level. When I realized how much TT had fallen short I immediately switched my younger kids out of TT and into Saxon, which I’d never used before because it requires so much parental involvement and is very “workbook-y”. I can see that, where math is concerned, the repetitive practice is needed and has been very good for my kids. But even with all the practice and workbooks, my 6th grader only spends about 45 min. on Saxon math every day and typically she doesn’t need my help. Saxon with my 3rd grader requires more of my time…it takes us about 30 min. a day. I had to smile at the commenter above who said Saxon is the opposite of TT. Very true! I just started using TT with my 5th grader after doing k12 math for almost three years. He got to a point where he was totally confused, and was spending 3 to 4 hours on math everday. I like that TT explains things so clearly. Because it doesn’t do a lot of review, however, I made a plan for next year. I will have my 2nd grader, 3rd grader, and 6th grader do TT, but I will also purchase the Saxon workbooks. We will not do the complete Saxon curriculum, but they will complete a workbook page as a skills update before doing their TT each day. I did this with the Saxon workbooks for my younger two this year along with another curriculum, and it has worked really well. Maybe the combination of the two will give a happy medium. I was always good at math in high school. I even made a 6 weeks average grade of 100 for the first part of geometry. I took the ACT and completely bombed! I was forced to enroll in a low college math and was bored to tears. When I got to the regular college algebra I was familiar with every lesson except the last one of the semester. Being good at math and not testing well is not all that uncommon, I don’t think. Hmmm…after reading more comments, I’m wondering if I should move to TT after my daughter finishes Horizons 1. The sample lectures seem what would normally be in the late 1st grade or 2nd grade Horizons book. She is only 5 now, but excelling in math. I think after finishing Horizons 1, it would be a good time to experiment with TT since she’s ahead. What do you think? I am currently a 7’th grade student, going into 8’th grade. I’ve always had difficulty with math, in fact struggled very hard. barely process, and almost every time evolved into tears. it, we switched back to Horizons, Calvert, and FINALLY Saxon math. etc. can be re-done at least one time to see if you simply got a misscalculation. focused. Yes, I definitely reccomend this program to other homeschoolers. Math’s 6’th Grade. The Pre-Algebra is a little more closer to normal grade level though. and are therefore falling WAAYY behind. Forgive such a long post. After reading all of the comments, it seems to me that if your children are happy with Teaching Textbooks and doing well (understanding concepts), then stay with it. It seemed like all of the negative reviews came from people that jumped around to different curriculum. The people who stayed with it did better. Also, I noticed a recurring theme of people not testing well in timed test/standardized test situations, even though they were good at math or had good grades with other curriculum besides TT. If you are concerned about the SAT or ACT then prepare them for it with a test prep class, but please don’t blame TT for their bad test scores. Teaching Textbooks has been an answer to prayer for my now 17 year old daughter. We were stalled trying to get her through Algebra 1. After suffering through (her twin brother loves it ) Saxon she convinced me to let her try our friends’ old version of TT ALG 1 and she ( ashamed to say it ) cheated her way through that, as it is possible on that program, started over from the beginning and never finished. I decided she needed something different, we bought Making Math Meaningful. She hated that so much that she wished for Saxon. Trying to get her through that brought not only her to tears but me as well on many occasions. We could not afford a tutor and I literally did not know what to do . I even had her twin brother trying to help her. But with Making Math Meaningful you really have to get into the book and speak the language and he really knew his Algebra but just couldn’t help her. Somehow we heard that TT had a new program that grades itself and bought it. She did a 180 degree turn around. She loved that she could be totally independent of me ! She liked the format, that was never a problem, it was just easier to cheat on the old one and that is impossible on the new format. We didn’t even buy the book, and never missed it once. I have no idea why you would want the book. She gets almost 100 percent, has taken responsibility for learning onto her own shoulders and is now well into Alg 2. Thankfully she is right on track as they are releasing the new versions just ahead of her. The Geometry should be out by the time she is ready. There will be no calculus for this kid, not in my school anyway. Don’t know about the test scores, we will at least have a heads up about that. I really don’t understand all the complaining about TTB not having enough repetition. If my son, who is working on Algebra 2, actually attempted to complete all of the assignments or reviews, he would never finish the course. He is now requesting TTB Geometry. In addition, we have been utilizing the SAT book since he was 9. I have triplets who would all be using the same grade level in TT, and am wondering if I can have them all use the program at once – also, how reasonable is it to expect them to do the written-out figuring with only one textbook (on separate paper). I’ve not seen inside the textbooks. Linda – What is the SAT book? A preparatory book for the SAT test? How do you use it? I think they can and you can create different log ins for each of them. The company is very helpful- I think their number is on the website. You could call and ask. As for writing down the problems, all of the younger grades are 100% on the computer. If they were holder I think it would be fine to write it out. Awesome review and comments. I bought tt3 and found that the concepts were easily understood and my daughter loves it, but the lack of reinforcement made it hard for her to remember a concept weeks later. So, we are going back to Saxon, but since we have it, we will are continuing to use TT as a weekly breather/reinforcer/encourager/reward for enduring the necessary repetition in Saxon. We have used Saxon for the past two years, utilizing the optional dvds on harder concepts. Saxon is not an easy curriculum, and I’ll admit that after looking over TT, I was amazed. The difference in level of difficulty between Saxon and TT was incredible. Yes, Saxon is harder, but I believe my kids will do far better going into college than they would if we’d opted for an easier math program. That’s not to say it’s for every child or every family, but for those seeking a proven math program that will sharpen their child’s math skills and challenge them to think critically, Saxon is definitely the way to go. Did Saxon with oldest daughter through Alg. II with high B’s for grades. She hated math so I switched her to TT in Geometry. That was a huge improvement, but she got lost with the calculator instructions in TT Pre-Calculus. End result? All those years of Saxon, and not much stuck in brain. Her first math college entrance exam was 19. Moved to tutor who emphasized conceptual math, Between that, doing MANY practice tests, training in graphing calculator, and lots of speed drills to get time spent on each problem down to a minimum… test grades improved to 26. Child #2 did Teaching Textbooks from grade 7 thru Algebra I, then moved to tutor. First ACT exam did 25 on Math, and eventually 27. Child #3 did TT through Pre-Algebra, then moved to tutor… not an intuitive math person, but she is practicing, practicing, practicing with lots of sample ACT/SAT math tests. That is the key no matter what curriculum you use. Whether you do a test prep class or do it on your own, it takes persistence and commitment on the part of the student to be successful (unless you have an intuitive math-brained person). I also highly recommend LOTS of work with the calculator and getting faster and faster at doing the math problems on those tests. If the child described in this article used the old version of Algebra 1, I would agree with the results she had on the ACT….HOWEVER, TT Algebra 1 has now been updated in a 2.0 version and is just as much inline with Saxon Algebra 1. Please compare TT Alg 1. and Saxon Alg. 1 and you will find they now cover the same material. I started homeschooling in 1988. I used A Beka math through 7th grade and was very pleased. A Beka is very advanced, but all my children did very well with it. I did not know if I would be able to teach their higher level maths,such as algebra and was doubtful that they would be able to do it on their own. It was then that I heard about Saxon and how all the homeschoolers was using that. My oldest two daughters did Saxon on their own and did fine. My next two children were boys and either couldn’t or wouldn’t do it on their on so I preceded to teach the lessons to them from Saxon. It was definitely not my style, having used A Beka up to that point. But, I made it through Algebra 1. I was starting to get bogged down and decided that I needed to get a curriculum that either I could understand and teach or that they could do on their on. I first bought videos for Saxon but that didn’t work with them on their on. I then bought the first 3 modules of Video Text Interactive, modules, A, B, and C. They started module A but soon that didn’t seem to work. It was so much different than what I was used to and I didn’t like having to pull down about 5 books to do the lessons. So I ditched that. Then Teaching Textbooks came out. I looked at it at the Alabama Chef convention. It seemed like just the thing. My boys were able to do it on their on. Then my next two, a girl 15 and a boy, 13 did Algebra and Geometry on their on with it. So I thought I had finally arrived! However, my next child, a girl started doing it on her own and couldn’t even make it past lesson 10. So I decided that I would just teach her the lessons and learn it with her same as I did the Saxon earlier with my boys. By the way, Saxon worked but it was not my cup of tea. I commenced to teach my daughter using Teaching Textbooks Algebra 1. I did not like the way the concepts were presented at all. So it was back to the search board to find something that I could understand and like well enough to teach my daughter the lessons from. I was just about to order the chalk dust videos or either the videos for Harold Jacobs math that I heard a lot of good about. However, I had already spent a small fortune on various DVDs and books for Algebra. So, I thought about those Video Test algebra videos (not DVDS) that I still had from years earlier. I decided I might as well at least try them before I spent more money being as I already had them here. The student is supposed to be able to do them on their own but I figured I would just watch the videos with my 3 children that I would be teaching algebra too, so I could explain anything they couldn’t understand, assuming I could understand it myself. I decided that I had not done the program justice the last time I used it because I only did a few lessons and quit because it wasn’t my style, etc. So, I made myself a promise that I would “force” myself to do the complete first module. Module A has 27 lessons and is actually pre-algebra, a review of all arithmetic operations. I figured if I didn’t like it after doing the complete module I would go ahead and order the other I mentioned. Well, guess what?!! We are nearly done with Module B and will be starting Module C week after next. We started in April and are working through the summer. I love it. I really wished I had used it with my other children. If you do all six modules, you will have covered Pre-algebra, Algebra 1 and Algebra 2! I plan to use their geometry course next which covers geometry and pre-calculus. Just love it! I started with Saxon in the early grades, but when I got to 6/7 and 7/8 levels, my son shut down. I wasn’t paying as close attention to his understanding of the concepts as I should have, and regardless of the continual review w/in the texts, he felt lost. He really needed me to let him slow down a bit, and maybe recover some foundational concepts. We then moved to MUS, and he was so excited to be able to work with manipulatives, as well as watch a DVD. That seemed to work well until he hit Algebra. I admit we have had to work with some character issues at the time where he was really anti-academic anything, but even after we worked through that, Algebra MUS just isn’t working well enough to build confidence in either of us. I had thrown in Life of Fred for fun to see if it clicked with him, but at the time it didn’t seem to help him improve, but it was a blast to read through!! (He has been struggling through Algebra for 2 yrs. now.) When I told him about each problem being explained in TT, he felt like that is exactly what he needs. I mainly want him to like math again and gain some confidence in his skills. I still need to look at the Video Text Interactives that several of you mentioned, but if I need review on top of either of those curriculum, I like the idea of Alex since it’s short and sweet, and really points out the gaps (we’ve tried it as well, but it moved too fast for us once we caught up in the gaps.) Thanks again. Maybe it’s been improved since I used it, but……I used teaching textbooks for one year basically as a review for my daughter in seventh grade after the birth of a baby because I wanted something she could do independently. The concept is good, but far too often she came to me puzzled by the questions or by getting “wrong” answers. What I found were questions that were poorly phrased or downright incorrect questions and answers. It bugged me *a lot* because more than a few of the issues seemed to be conceptual on the part of the authors! I have a master’s degree in electrical engineering and worked for NASA before my daughter’s birth. Math is my passion. I even contacted the authors about the incorrect problems, but got no response. I felt guilty reselling it on ebay, where I got almost full price for used CDs. As homeschooling parents, we have a limited amount of time and not every parent has a strong mathematical background. The concept here is good, but technically it needs some strong editing. A math curriculum is only as good as its mathematics. What did I use for my daughter following that year? I used Videotext Algebra and I watched it with her so I knew how the concepts were being presented. IMO, the concept development in Videotext is far superior being completely correct and sound. At times, I altered the order of presentation of lessons slightly, and VideoText does not include several topics that are considered pre-calculus in high schools. Those topics I taught myself from a standard pre-calc textbook. She clepped the College Algebra exam in her senior year and it was my greatest single achievement of our homeschooling career, given that she is dyslexic and can’t stand math. In the elementary years, we mostly used MUS because like VideoText, it is mathematically sound and taught by someone who both understands math and knows how to explain it to someone else. I use Teaching Textbooks as a Supplement for my kids Abeka Math program. Math is math, and hasn’t changed in all the time since I took it in High School and College. And I’m pretty good at it as well as my older daughter who helps me teach my 4th and 7th grader. I love TT as a diversion from the workbook approach of Abeka. But my kids need the drilling and the reinforcement. Also, after reviewing the lessons with Teaching Textbook I couldn’t use it for my kids for Algebra on since it doesn’t offer them enough practice, but it’s a great tool for me to use with their current curriculum. Every child learns differently, but in every case no parent should trust that the kid will totally be responsible for teaching themselves. If a kid hates a subject, well that’s just life. Especially a teenager who is in High School should expect to dislike some teaching methods, courses and styles if they plan to attend college. 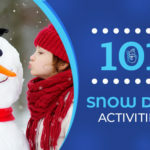 For younger kids, mixing things up, and having a curriculum that gives them some of the fun things they like, and some of the difficult things they don’t like builds tolerance to learn in spite of a subject being a challenge. So if you wouldn’t use teaching text for high school. What eiuld you use? I teach math at the university level and I heard a colleague this past week about this terrible math homeschool curriculum that one of their students had used and how it clearly did not teach the correct material in the correct way. When I asked what the name of the curriculum was she told me it was Teaching Textbooks. The student told her he had received high marks in his math course but did terribly on his SAT. Then, once at the university did not know material that should be covered in Algebra I after having taken courses through Pre-Calculus. He is now stuck in my friend’s remedial math course. I’m just saying this so you all know that this is not an isolated problem and do not say that the issue is this dear woman’s daughter. loved your info…thanks so much! have home schooled from the start with our children…oldest is 22. i have tried different curriculums as well. our son who is currently in college actually switched from math u see to ttb around 10th grade. this was at the advice of another homeschooling mom who graduated two with act scores 30+…yep, not a typo, lol! one son is now in med school, the other in pharm school. so, anyway, took her advice and our son loved it! his act score was college level. as i mentioned, he is now in college…pursuing nursing…possibly more at his a@p professors advice. he is maintaining a 4.0. i only say all this to say, i do think sometimes it depends on the child. however, he really was not necessarily strong “naturally” in math. i am now searching for a change in the math curriculum i am using for our 12 year old. when our little guy was first starting, i wanted something that was fun to learn…with plenty of color and hands on work…he and his 9 year old brother have been using McRuffy Color Math. it’s GREAT! i have caught some errors in the answers, however, not a big deal as i check everything they do. thinking it’s time to get our 12 year old started towards more self-learning skills…so prob will give ttb a whirl again. really do appreciate everyone’s input…learning a lot of new things! btw…pls pardon my grammar…in a hurry! blessings to all! My daughter used Teaching Textbooks and she scored 780 in the SAT Math. While I agree with you almost completely up to the point that you said you would not use Teaching Textbooks again, there is a remedy to this problem of “teaching to the test”. I have graduated one child who is not mathematically inclined, and we dealt with this problem by hiring a tutor who was also a public school teacher to tutor her in the math portion of the ACT. This worked well for us because she scored well on her ACT, then graduated high school with a scholarship to a private college. She is now a couple of years into school and doing very well. Good article. I had been looking at TT for my son. I’m glad I read your review first. I’d love for you to delve more into this topic. We’re all opposed to teaching to the test. So where is the disconnect for an A student to bomb? Obviously the test format isn’t a problem for her. I’m assuming you’d have mentioned if she was ill, exhausted or otherwise not feeling optimal on test day. I’ve always assumed if you learn the material the testing scores will come. If that is bonkers I’m glad to find out now while my oldest is a second grader! This has been an interesting discussion to read. I use TT with all three of my kids, and it varies with the child whether I am “hands-off” or not. My eldest, a 9th grader, has been using it since 7th grade, when she took pre-algebra; algebra in 8th and now she’s on geometry. Her test scores (on the Iowa each year) have her above average in math, but nowhere near her language-related scores. That seems about right for her abilities and interests. She uses the program independently, asking for help only occasionally. I will be interested to see how she does on annual high school level testing (state required) this year. My now 5th grader began with TT last year, and loves it. He is a poor test-taker, last year being his first official try at it (though he actually enjoyed the experience — go figure) and did not do as well on the math as I’d hoped. This will be the first year I have to submit his testing scores to the school district, and honestly, I’m a little nervous. He has “folder work” time every day while I am working with his brother, in which he completes worksheets I’ve created or found online to give him extra practice in areas in which he seems “iffy,” and this does help him overall. He also practices math facts daily on “Xtra Math” website, and completes a facts drill sheet for mastery each day. As for the lessons, I sit with him during the actual lesson (usually only about 5-10 minutes), and stick with him until he’s completed the 5 practice problems. He completes the rest of the problems (22 of them) on his own, and asks for help if he’s confused. Pencil and paper are required for working the problems before typing in the answer. Labels are always given, so if you only use the CD, the child gets no practice in labeling answers to word problems, or even things like remembering to use dollar and cent signs. TT gives the child two chances to get the right answer without penalty on every problem except multiple choice and T/F — which is helpful in catching calculation errors and typos. The gradebook shows if he tried the problem more than once. Obviously, tests are not so forgiving. My 3rd grader struggles with learning, not least of which was due to the fact that he had an undiagnosed visual problem (he was actually seeing double!!). He has difficulty lining up numbers in writing, and I do that for him at this point. We do the entire lesson together, and I give him as much coaching as he requires in order to be successful. He looks forward to this portion of the lesson every day. In addition to the TT lessons, we also complete a daily worksheet and calendar similar to the Saxon meeting book/time, though what we work on is highly individualized in his case. For success in lessons, I use charts, number lines, manipulatives, games, memory work and frequent facts drills (well above and beyond the occasional “bonus round” math drills included in the CD program for 3rd and 4th grades). We spend about an hour on math each day, with TT math only functioning as a part of that time (though central to it). It remains to be seen if my son will become more independent in this area as time goes on. I must say, that while the placement test they offer for this level nearly scared me off from trying this program with him, the pace and topics covered are actually very similar to Saxon 2. I was surprised, though, at how quickly it moved through the introduction to multiplication, without spending any time at all on skip-counting. Perhaps the program assumes at 3rd grade it’s all just review? It was not in our case, though I know most grade 2 programs do cover this at some level. If your child is not a “natural learner,” (for those lucky kids you can actually use *any* program and should go with whichever one your child most enjoys! ), this program will have significant gaps, even with the short lessons and slower pace, particularly if the child attempts it on his own. The extra chances (and frequent “time out … for hint!”) to get the correct answer may lead to higher lesson and test grades than would be gotten without them, and will likely mask how he or she will do on a one-shot, no hint deal like a formal test. This has been a very helpful discussion. I am thinking of switching my 15 yr. old dd into TT. we have always used Saxon, up until this year. She has always hated it, struggled massively, cried buckets. I finally switched her to Videotext Interactive on the advice of a friend. I was able to find it cheaply used online so I bought 5 of the 6 modules. I watch the lessons with her. I check her work. I go over the ones she missed with her. i LOVE the way the material is presented, but there is NO review. None. zip. zero. It’s so incredibly frustrating. She will do fine with the daily lessons, so we move on. But by the end of the module, she has forgotten the earlier concepts (and this after we went through Saxon pre-algebra). We went through module A and B, but did B over again since she bombed the cumulative test at the end. Even after going through the material again, she still did badly on the final test. We are both hating math life. I do assign her review problems, but with 6 other kids in our homeschool, I’m not as thorough as I could be in giving her review problems. i don’t WANT to have to do that! I thought TT would be a good solution, but after reading all these reviews, maybe not. The odd thing, to me, is that on her EOY test (she did the CAT), she scored a grade equivalent of 9.8 on the computation part, and a grade equivalent of 11.0 on concepts and problems. Now, I know that people have their own issues with the CAT test, but still. It is very confusing to look at her test scores versus her math work on a daily basis. (she just finished 9th grade this year). DD is very bright, and a whiz in the language arts department. She is not college bound, so maybe I should just stop trying to make her be a math person. But, i KNOW she can handle the material, she is just completely uninterested, unmotivated, and math hostile. It’s a heart issue. So is this a hill to die on or not???!!! I am using the lower grade TT’s (3&5) for the first time and am purchasing some supplemental books to go along with them. My daughters do the Abeka videos and they were not able to keep up with the super fast paced class room although they did fine in the workbooks. At least my youngest did fine, my older daughter had way too many mistakes in her daily work and low scores on standardized testing. I’m moving my older daughter up a grade because even though she was struggling somewhat with Abeka TT was too easy for her. She is in 6th grade and when I used the placement tests for TT they placed her in grade 5 math, but it’s way too easy for her so now I’m purchasing grade 6 and we’ll see how that goes. My youngest daughter is in grade 2 and is doing the grade 3 TT math. I love the fact that everything is graded on the spot. I’m concerned that the lessons don’t seem very long and am wondering if they will really “get” everything as things progress. I read another review of this curriculum and from it learned of the Evan Moore daily practice books. I decided to order 2 of them for each student, math and word problem math to supplement. I forgot to mention that my older son used the TT Geometry and when he took his GED the teacher who tested him wanted to know what math curriculum he was using because his score was so high in the math section of the test. We used Saxon with the DIVE cd’s for the older kids all the way through, but they disliked it because of the length of time spent on math each day. My son loved the TT Geometry and spend a lot of time with it. He loved that every problem had a detailed, step by step solution. Just a heads up about test scores. My son has done Saxon math all the way through the calculus book during his junior year. He was mostly self taught and wants to major in some type of math in college and got an A in calculus at the CC. So he’s really good at math. But…his ACT math score was only a 27 while his English (not so much his thing) was a 35! So maybe there’s more to this than which curriculum. I think as a homeschool mom I don’t try to “trick” my kids. I want to know if they understand the concepts but not if they know how to manipulate a test. Or maybe his confidence in math made him careless. Anyway I don’t blame Saxon because I know that he knows math. But I do wish I could figure it out for the next 6 kids! My 6th grade son took TT7 last year (I was trying to adjust for the rumors that TT was a year behind – and truthfully, the placement test seemed to confirm it.) He loved it! We took the CAT test at the end of the year to judge how we had progressed in math… my little dude scored a 10th to 12th grade equivalent on all the math portions. We decided to kick it up a notch and go for AOPS pre-algebra this year. It was terrible – there were tears – he sat there in complete defeat on more than one occassion. I spent hours over the past few weeks trying to help him. Needless to say, TT Pre-algebra arrived today. My thoughts are this: I’d rather have a curriculum that he enjoys and can learn independently with confidence. What’s the use in a hard curriculum that he doesn’t get and dreads Every. Single. Day? Hi, I switched to TT this year for four grades from 3rd to Geometry. Our decision was based on my limited time to teach all subjects for all four grades. Our experience has been with TT that there is still a need for a human factor. I think TT is really good, but we have found a need for the teacher– mom of course– to still go through and make sure that the definitions are learned and memorized for each kid. The curriculum is such that they can look through and find answers to things and be earning a 90% + on everything, but when you sit them down and ask cold turkey, the student is not typically able to give answers without referring to the textbooks. I think too many families are throwing everything in with TT and trusting an inanimate object to take care of everything for them. We all home school for various reasons, but I believe we would all agree we want our kids to have the best education we can provide for them. I think we just need as parents to still be supervising and knowing each day what they are learning and what they are not. I plan to continue to use this curriculum but with flash card reviews of terms as they are introduced and continued review of the them as throughout the school year. It really doesn’t take that much time to do it and it keeps the child and the teacher in touch with what is being learned. The main difference between this year and when our children were doing Alpha Omega lifepacs is that they knew their math more thoroughly when I was teaching it. I was never able to just turn them loose with lifepacs and have them able to teach themselves the math as that materials claims. There is still a need for a teacher/supervisor. And I don’t want to be the one who wakes up after trusting TT, or any other computer based curriculum for years, and realize my child is going to end up in remedial math in college. That would be selling their talents short I think. The other thing we are doing is as the more advanced math classes are getting completed we are paying a small fee to test so the child can show college credit for the classes. I agree this program works! For us. I am so thankful as to finding this. We have been 2 months in and it been so much easier. I tried using Saxon and Singapore. Teaching textbooks have saved our days. They want to see investigations style answers… the ACT is built around common core math….not always common sense. What curriculum did you end up choosing?? We ended up going back to Saxon and I wish I would have stuck with it from the beginning when I started homeschooling in 2000. I have kids with learning disabilities, one is 2E. For what it’s worth one has struggled with math, however when tested on ACT or CAT his math scores are the highest. The new SAT/ACT is designed to trip them up. You have to teach how to pass those test or pay for test prep with someone. The new CLT (Classic Learning Test) is based on classical education methods and doesn’t use trickery or common core. If your planning for private college check out all the colleges that are accepting that test. More and more private colleges are accepting CLT. If you are doing concurrent enrollment at the community college, check to see if they have their own test for placement. Our CC has an untimed placement test. Once you are doing college level work the college test carry less weight. There are four year colleges that will accept the test from CC. So it can be like a backdoor for homeschoolers getting around the common core agenda. Just something to consider, and ask about in preparation for the college years. It will depend on what is available to you in your state. I learned not to judge curricula based on assessment alone a long time ago. I unschooled until 3rd grade. My oldest tested through the roof on everything in 4th grade. It comes down to learning to jump through hoops. I prefer the program that my kids enjoy over rigor. A child that is frustrated learns less from a rigorous program, than a child that is enjoying what is being taught. Plus, if you are not spending hours and hours on one program you have time to supplement math with all the wonderful things available to us. I wholeheartedly believe the current testing materials have derailed with common core, and it’s becoming increasingly more important for us to support alternatives to testing. Teaching textbooks is going fully digital for 40.00 per grade 10 month subscription. I wonder how this will impact homeschool community. Whatever math curriculum you choose, why on earth would you try to get by without extensive preparation for the ACT or SAT? If you are sold on the need for those tests, then you are aware of the high stakes and should prepare accordingly. Your child does not need a drill and kill math curriculum for four years. Life is just too short for that! I agree, Kelly. 4 yrs of tears for a great score that might happen? I always did poorly on standardized math tests but got a B in Calculus I in college. I went to public school. I had no test prep for the SAT. I plan on having my kids do a test prep course. My son is what I consider to be a “math brain” (2-3 yrs ahead of his peers) but from day to day, his scores on TT can vary just because he’s having a bad morning (not enough sleep, no breakfast, whatever) I don’t think it is a failure of the program but just that he is 11 and inconsistent in everything from day to day. I do honestly think he needs more practice with recognizing how to solve certain problems. I’m not sure how I’m going to handle that, but I’m not switching from TT, because I don’t think my kids would retain their math any better with drill and kill. We are going to try Jean Burk’s prep this year and see if it helps in general recognizing problem types. My other idea is to finish up Alg 2 on TT and then go to Mr. D’s Math to see if they can get thru his course. Thank you for the review. I am about to begin my first year of homeschooling, I have already purchased Saxon math. I am anxious about teaching math, it has always been a weak subject for me. Teaching textbooks was also at our homeschool convention. I got a flyer. I have not even started and I am already wondering if I should try teaching texbooks. My children have been in private school for the last 6 years where they teach common core method. I am worried about this too, as Saxon math does not use common core method. My homeschool mama friends keep telling me not to worry about this. I just wonder if they were to return to private school one day, will they be confused or disadvantaged in some way> I am just going to go with my gut and start with the Saxon math and go from there, this was very helpful! My daughter is 12 and just beginning pre-algebra with Teaching Textbooks (our first time using TT). After flying through the first 5 lessons with 100% on each, my eyebrow was raised to suspect this was waaaaayyyy too easy. I always tell my kids that the curriculum starts out by trying to see who needs to back to the previous grade. Also, I think some kids forget a lot over the summer. Personally, I love TT. I have used it through high school and my kids scored in the upper 600’s for math on the SAT. We did do a short SAT prep class, but a prep class can’t make up for not learning math properly. Update: My 11th grade son just took the SAT and got a 700. He has done nothing but TT math since 4th grade. He is about halfway through TT Pre-Calc. The real problem with your daughter’s test scores is that Teaching Textbooks is a full grade (or more) behind what they say. My kids have done teaching textbooks through seventh grade, and they have scored very well on IOWA standardized tests because they’re above grade level on TT. My oldest has switched to a more rigorous program for pre-algebra and beyond because I did some research and found that TT algebra one and two would be needed to cover what is in a typical high school algebra one course. Then you would need to do TT pre-calculus to complete the typical algebra two material. In order to be successful on the ACT, SAT, or Accu placer college placement exams, a student needs to complete the typical algebra two course. That means that a student who finishes teaching textbooks algebra one still has two years of math to cover all the material on the college prep test. I don’t think high school teaching textbooks would be sufficient for a student interested in pursuing further education in math and science (college BS majors). It covers the material but does not go into the more difficult problems. It is easy for a child to do well and learn the basics without truly mastering the concepts. That being said, I think teaching textbooks is perfect for grades seven and below. It does leave some gaps in concepts that should be covered more thoroughly (the problems tend to be easier). I feel this way about every curriculum though. I think the high school courses would even prepare students for college, as long as they are seeking liberal arts degrees that don’t require calculus. For this child, choosing a more rigorous math curriculum may just lower their confidence and take their time away from the subjects they’re interested in mastering. If your kid is a math whiz, but you don’t want to relearn algebra, skip Teaching Textbooks and find a tutor or co-op to help. 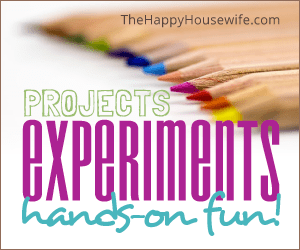 I homeschool three kids, and I have experience with numerous math curricula. I have a bachelors degree in engineering and a very firm understanding of math. I also taught an SAT prep course in college, so I’m well aware of what’s on the test.